salve! ho la mia canon mp 370 che riporta questo problema mi esce scritto: controlla stampante 343 , questa eÂ´la seconda stampante che mi riporta lo stesso problema, mi aiutate per piacere? often only a part of a document or photo prints(not always the same percentage). I then have to cancel printing of all documents and then start again, usually the printing is then OK for a time.I have reloaded the driver and downloade driver updates, what do I do next? All problems on this page have been submitted and answered by users. If you have a problem with the Canon MP370, please submit it below and we'll post it here. Problem: salve! ho la mia canon mp 370 che riporta questo problema mi esce scritto: controlla stampante 343 , questa eÂ´la seconda stampante che mi riporta lo stesso problema, mi aiutate per piacere? 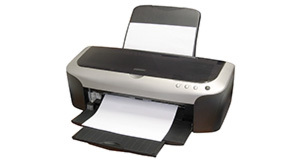 Problem: often only a part of a document or photo prints(not always the same percentage). I then have to cancel printing of all documents and then start again, usually the printing is then OK for a time.I have reloaded the driver and downloade driver updates, what do I do next?